Here’s a great health trivia question: What vegetable most effectively lowers blood pressure, improves cardiovascular health, and gives athletes a competitive edge? You might already know the answer – it’s beets! Research shows that some of the natural chemicals in beets lower cholesterol; improve oxygen delivery to muscles; and help blood vessels relax and expand (thus lowering blood pressure). That’s a lot of benefits – all packed into a humble root! 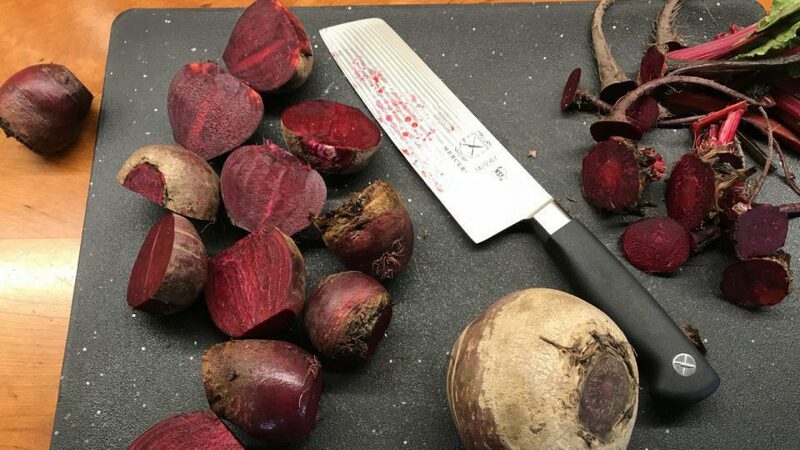 Most folks carry strong opinions about beets – there are those who love them and those who don’t. Many people describe the taste of beets as rich, sweet, and earthy, while others pick up a strong hit of plain old dirt! Genetics might have something to do with our preferences for different foods – some of us can taste certain flavors more strongly than others. However, even if beets are not on your list of favorite foods, give this delicious pesto a try. It’s made with earthy red beets, flavorful grated cheese, rich walnuts, pungent garlic, and bright lemon juice and it was a hit at this year’s YRMC Celebrate Life Expo, where it won over beet lovers and skeptics alike! Check out how easy it is to make fabulous beet pesto on this segment of AZTV’s Arizona Daily Mix. Click here to watch Rita on AZTV’s Arizona Daily Mix – What’s So ‘Super’ About Beets? on YouTube. Beets are a good source of nitrate (a nutrient some vegetables absorb from the soil), and studies show that the high level of nitrate in beets and other vegetables (including leafy greens, cabbage, celery, parsley, dill, and leeks) can help blood vessels relax and stretch, thus lowering blood pressure. In fact, many scientists attribute much of the blood pressure-lowering effects of the famous DASH diet (Dietary Approaches to Stop Hypertension) to the generous portions of nitrate-containing greens and other vegetables recommended in the plan. Our bodies convert some of the nitrate we get from vegetables into nitric oxide, a compound also naturally produced by healthy blood vessels. Nitric oxide relaxes and stretches blood vessels as the heart contracts and pushes blood throughout the body. Unfortunately, aging and chronic disease, like cardiovascular disease and diabetes, can impair the ability of blood vessels to make nitric oxide – leading to hypertension. Studies show that dietary nitrate, from nitrate-rich veggies, can lower blood pressure in people with hypertension by supplementing nitric oxide levels in the blood. 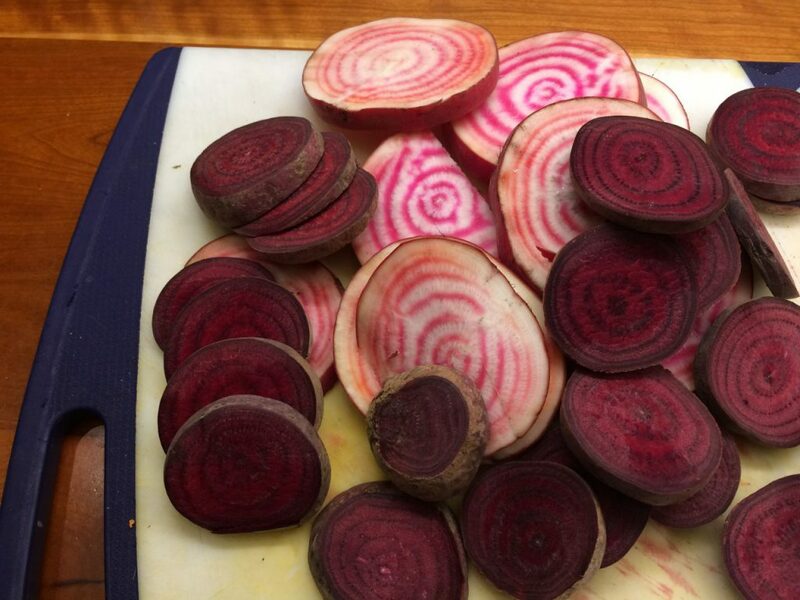 The nitrate in beets can also give athletes a competitive edge. Studies demonstrate improved performance when athletes consume beet juice (up to 500 ml or 16 ounces) 2-3 hours before a competition. When the nitrates in beet juice are converted to nitric acid, athletes experience increased oxygen delivery to muscles, more efficient muscle performance and improved glucose metabolism as muscle cells use sugar for energy. Beets are also good for lowering cholesterol! This benefit seems to be related not to nitrate, but to the important phytochemicals that give beets their ruby-red color. Here’s a great video with Michael Greger, MD, founder of NutritionFacts.org. In this video, Dr. Greger shares research demonstrating the affinity certain vegetables have for grabbing onto bile. Bile is made from cholesterol and is a normal part of our digestive juices. Certain phytochemicals and soluble fibers in food bind with bile in the intestines and prevent bile from being reabsorbed, recycled and used again. This forces us to make new bile, which lowers cholesterol levels in our blood. Phytochemicals and fibers that bind bile may also reduce our risk of certain types of cancer. 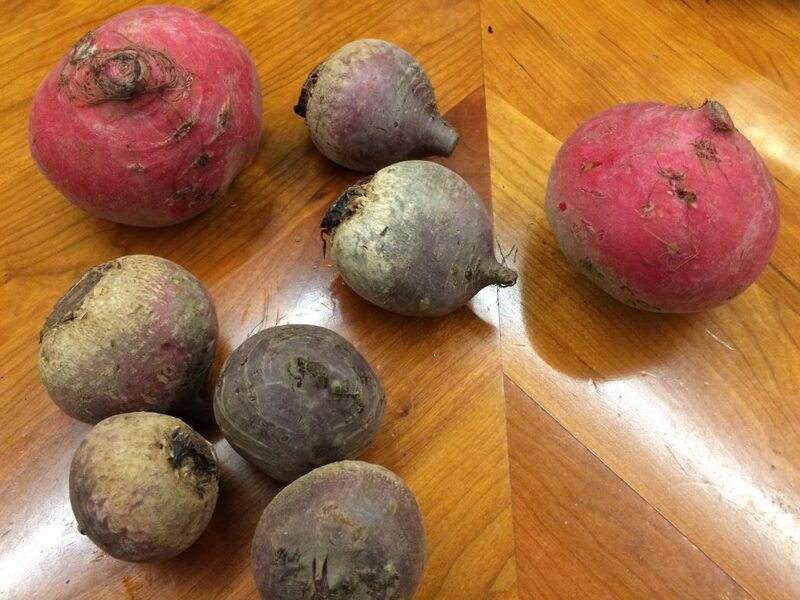 In a study comparing the bile-binding ability of 13 different veggies, beets take the lead! It’s clear that some vegetables, like beets, are packed with phytochemical and other nutrients that protect us from illness and disease. For more recipes using beets, leafy greens, fresh herbs and other super-delicious and nutritious plant foods, check out Your Healthy Kitchen, YRMC’s online video cooking tutorials. 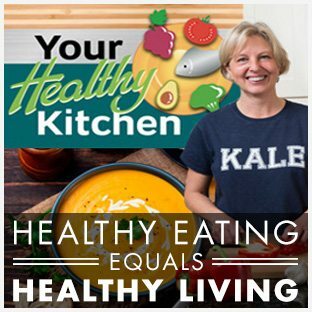 You can also follow me on Facebook at YRMC’s Your Healthy Kitchen, where you’ll see what I am making at home, and get insider tips and recipes, and information on food- and gardening-related activities in the community! I read this article and found it very interesting, thought it might be something for you. The article is called For Cardiovascular Health and Athletic Performance: A Vegetable That Can’t Be Beat! and is located at https://yrmchealthconnect.org/for-cardiovascular-health-and-athletic-performance-a-vegetable-that-cant-be-beat/.